Staging Highlands homes is more difficult for some than others and this week let’s focus on windows. Taking your house one step at a time can make staging less stressful. The majority of homes in Highlands NC offer fantastic views which is why paying attention to the windows is a great idea. 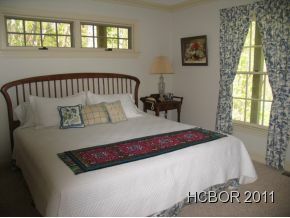 If you have window treatments in your Highlands home already take a close look and see if they are in good conditions. Ratty curtains and shades that do not work are an automatic turn-off for potential buyers. Window treatments can be custom made for windows and run the gamut, from roman shades and honeycomb shades to sheer panels and fabric curtains that draw. Make sure that the window treatments you choose showcase your windows and your views and do not overwhelm a room. Contact me, Lynn Kimball, today to learn more about selling real estate in Highlands NC. Having knowledge and experience on your side can be the difference between your home languishing on the market or receiving an offer. Click here to read “4 Tips For Effectively Staging Your Home For Sale” from Realty Times.